Overnight two separate bombs were defused in Moscow. In both cases, explosives were found in Mercedes cars. ­A white Mercedes-GL was stopped by road police on up-scale Kutuzovsky avenue in the west of Moscow at about 21:00 on Wednesday. It is believed the owner of the car was under suspicion and his travel had been monitored. Once the car was searched, a powerful explosive device of almost half a kilo of TNT loaded with strike elements, though without a fuse, was found. A search of the driver, a 44-year old citizen of the Russia’s Republic of Kalmykia, Magomed Aliev, and two passengers revealed a TT automatic pistol with them. The FSB bomb squad that arrived on the scene had to evacuate people from the ground floor of the building nearby and use a robot to disassemble the device. The detained Kalmykian driver is reportedly connected to the Dagestan underground, Itar-Tass reported referencing Viktor Biryukov, the head of the Main Internal Affairs Directorate’s press service. According to Biryukov, police were closely following Aliev and detained him when he was heading towards Moscow’s downtown. A criminal case was initiated into the trafficking of arms and explosives. The court will decide on Friday whether Aliev must be arrested. 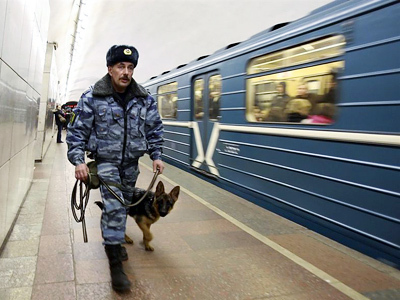 Aliev himself pleaded not guilty, saying the bomb was planted, Life News reported. 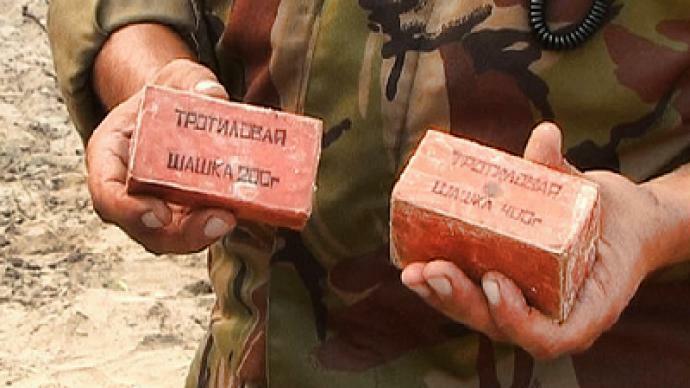 Another arrest occurred on Ryazansky Avenue, on the opposite, south-eastern side of Moscow, where a 200 gram TNT block was found in the trunk of an apprehended vehicle. According to investigative information, the arrested 38-year-old driver, Jamshut Buinatov, is a citizen of Tajikistan and a member of ‘Islamic Jihad'. 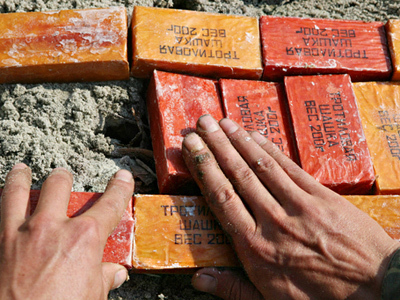 A criminal case has been launched into the trafficking of explosives. For more, watch RT's report.